Education prepares us for the life. It develops rational thinking, logic in us. It gives us the power to question. And to ensure that the purpose of education is achieved in totality, teachers, parents, students and policy makers all play a very important role. With the increase in interference of media, and parents becoming skeptical of the intentions of schools, it has become difficult for the teachers and policy makers to ensure that these objectives are achieved. In real life, today, there are many incidents where one could easily make out that the problem is poor anger management or lack of patience. The root cause for this is poor brought up. When young, parents fail to impart tolerance amongst children. Teaching tolerance does not mean narrating stories or delivering a lecture or having a moral class on values. It is essential to provide comfort but at the same time it is required to let children face small challenges in life, this will enable them to face odds in their later life. Today, there is a surge of medical issues in young adults who complain of depression or anxiety. The reason for this is that these young adults were either not exposed to real life challenges while at school or had a strong support to pull them out of the problem. Hence, it is obvious for them to get anxious with even a small problem and end up having an unstable state of mind. Parents often take pride, saying that the children of this generation are Chocolate made. But at the same time they need to acknowledge the fact that elders have a key role in building that easy approach to life. As guardians of the young minds it is obligatory for both parents and teachers to make them comfortable but providing comfort must not preach escapism. Many parents have shown their concern that the child is under performing and the possible reason they could find was the child’s involvement in co-curricular and extra-curricular activities. There is quite a possibility that extracurricular activities might digress the children from academics but not always. It might happen only in cases where the child has already learnt escapism and makes extracurricular activities a tool to escape regular studies. While the above fact could be true it is also to be borne in mind that to excel and be successful only academics will not help and that is why at school there are co-curricular activities that enable the child to enhance personality. Dance, Music, Dramatics or Sports helps an individual to become confident, improves expression, enhances body language and most importantly teaches to be responsible of your own decision. Participation in activities enhances social, emotional and cognitive skills of an individual. It allows the students to feel responsible for their own decisions, and once a student has learned to own up for his decisions, he learns the basics of life. There are incidents where the school and teachers promote the talent in a child but at the same time the student misuses the support of the teachers at school. Schools create enough preparedness amongst the student to maintain a balance between academics and co-curricular activities. In circumstances when the student is involved in activities, the teachers try to provide enough support so that they make up for the loss in academics. But, at the same time it is expected from students that they are keeping a pace with the topics being covered in the class. What is anticipated from the parents is to be watchful that the child is not manipulating the facts. It is imperative to mention here that students might take excuses of being tired and overburdened, but then the role of the parents creep in. In such a situation, a parent must deal cautiously as per the need of the student. Parents must also be aware about the emotional needs of the child at this time and then plan course of action to ensure stability. It is very easy for parents to accommodate children and either allow them to laze around or simply ask them to quit the activity. Both the situation is dangerous as this endorses escapism. Instead what is expected is that the parents must involve with the child at this time in both curricular and extracurricular domains. 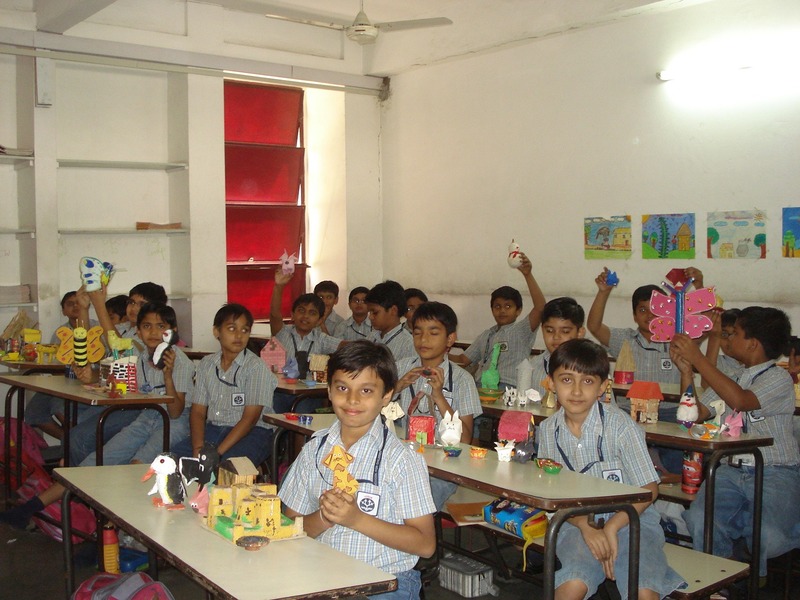 Enquire more about the ongoing extracurricular activities, try to help child to complete pending work. This would definitely be tiresome for parents for two good reasons; one, because today many children do not prefer parents involvement and consider it as interference, two, because parents have a double role to play, both at professional and personal front. Hence, parents avoid (escape) this partnership with children leading to larger problems. We need to accept that the school does not only prepare the students for examination only but also create a conducive environment for enough preparedness for life. Previous article	Relevance of Game-Based Approach on Learning Next article	Would you Replace DETENTION with MEDITATION in Schools?